The course of recent German history has been volatile. Events in Eastern Europe, the collapse of European Communism and German Re-Unification has brought issues of Germany's status into the arena of world politics. 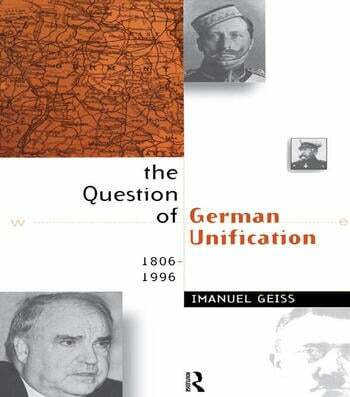 The Question of German Unification presents an introduction to the last two hundred years of German history and addresses questions raised by the status of Germany as a single or split national state. * includes discussion of recent political events as well as a chronology and further reading. Imanuel Geiss reflects on the irrationalities of German history, surveys how they have been explained by historians, and provides a succinct and readable account of the complex issues involved.